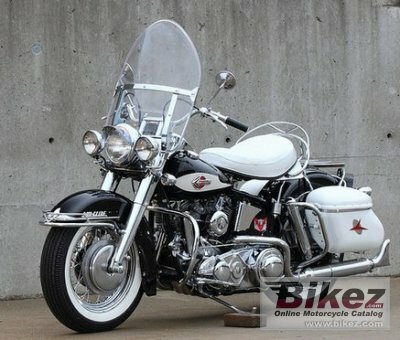 1959 Harley-Davidson FLH Duo Glide. Picture credits - Mecum.com. Submit more pictures. Rear suspension: Swingarm. Dual coil-over-shocks. Comments: Windscreen. FLH models have higher compression then FL. Ask questions Join the 59 Harley-Davidson FLH Duo Glide discussion group or the general Harley-Davidson discussion group.